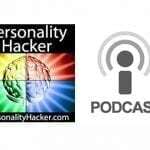 In this episode Joel and Antonia talk about how to figure out your personality when it seems like you are testing out as different types. 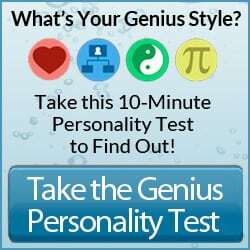 If you are getting different results from other personality testing sites, how can you figure out your personality type? Oftentimes, when you answer some of the questions, neither of them feels good or right for you so you end up with a different personality type. We want you to know for sure type. Especially when you have had more than 3 types. 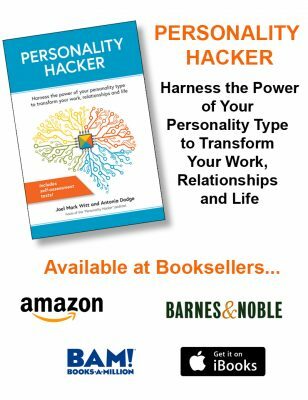 You can go look for professionals like Personality Hacker who can guide you in unveiling your personality type. Extremely developed individuals – people who have been working hard on themselves and are very balanced. There are couple of principles to remember and very important to establish in the self-typing to process. Everybody is unique. There are 7 billion people in the planet so expect a lot of difference and variation. So when you’re looking at information about your personality type, you need to look at more factors and examples. Personality Typology is a Powerful Tool. It’s important to remember that most of the real value of the system is located somewhere deep and complex. Understanding the complex contexts allows you to understand yourself in a deeper level. There’s so much more information, you need to get to the deeper principles before you can unravel your type. Once you know your personality type, that’s the starting point to get more answers about who you are as a person. It’s a code that lets you know how your mind learns and absorbs information. It’s not about the behaviour, it’s more about how your mind works. When two people behave in a similar fashion, it does not mean that they have the same personality type. Behaviour emerges from a personality. If you see someone who behaves like you do, it doesn’t mean that you have the same personality. There’s going to be someone or anyone who will say that they are the one who can give you the answers and key to your personality. So what are you going to do if you got more than 1 results (Myers Briggs)? How can you figure out your personality type? Look for patterns. Figure out what you’re consistently testing out and narrow down your results. Discover and learn more. Read profiles from various online sources and assess which one resonates the most with you. Once you’ve narrowed down in about 2, do further research. One type should surface and will resonate with you the most. You will know (as soon as it happens) when you get your best fit type so read a lot of descriptions, keep on reading until you run into one that is the best description of yourself. The point of personality types is to guide you in the good direction. When you run into the right profile, you will notice that they are quite unique – it’s like finding the right coach. If Myers Briggs doesn’t work you, look for a different model. Hi everyone! I figured out my personality not by reading all the accessible content on the web about the two personalities that I was in doubt with but by studying and focusing on all the cognitive functions, zoom out my conscious mind in a situation and see what and how I used a specific cognitive functions or a mix of two. I tried to ”objectively” see them functioning in me. Does that sound right? Anyway, I wasn’t really that in doubt but just because I spend a lot of time with a person that has a great amount of a specific c.f. (Fe), I experience part of that function, or at least the reflexes. We both have two cognitive functions in common, we get each other very well, we deeply care and understand each other but we differ in judgments. Antonia mentioned on this podcast that there are certain personality types that loathe being understood by others. Which would those types be, and why? For me, I am INFP, but I type with MBTI Official as INFJ..or did when I went through it with them…this was because, as much as I value MBTI, where I think they fall short, is the focus on the 4 letters rather than focusing more of Jungian cognitive functions….on the surface, externally, you would think, for many things, I do a good ‘J’….ordered closet, things in sections, a bit OCD-ish in having everything in order and a place for everything, making lists (though when you look, my lists have strong P function! Oh yes I believe there are J lists and P lists 😉 ). The thing is, I am very strong in Fi, Ne, Ni and fairly strong in Fe. I would say my Fi and Ne are almost neck and neck but needs further investigation…my Ni is not far behind….OK, I know this is unusual that my Ni is so strong too, as Ni is not in the INFP or ENFP cog function stack where it is Fi, Ne or Ne, Fi, but for me, it is strong, or seems to be, unless it is being read wrongly. What I do know, is that I am strong NF/Idealist if we look at Kiersey categories. Dario Nardi brain map like I shared before has me INFP, with consideration for ENFP or INFJ if not happy with INFP. I dunno, amybe I am just weird 😉 Actually, I know I am weird. Most people, Jungians etc, say I am clearly Intuitive, but then also many say that my Fi is so evidently strong, perhaps leading.I believe I am INFP. However, I am going to hire you on a call for verification…and it will be interesting and fun anyway! When I first discovered Myers-Briggs, I was typing out as an ENFP, INFP, and ENTP. I read ENFP descriptions from several different websites and I wasn’t satisfied with any of them. When I read the functions in the ENFP type I was even more confused, being that the shoe didn’t quite fit. It was the same story for the INFP type. The ENTP fit a little bit better, (but let’s face it, there are some bad descriptions out there.) Researching how those functions interact together gave me a little bit more to work with. I still wasn’t sure until I found your YouTube channel and watched the short videos for those three types. That finally solidified what fit me the best. I also found Antonia’s article “Becoming a Better ENTP” very helpful because it pointed out some of my own personal frustrations and shortcomings. It just resonated with me. Thanks for feedback! I’m so glad the resources helped you nail down your type. Being a female ENTP is sometimes difficult, because we get so much feedback that we (as women) should be in a more ‘feeler’ space. I think we have to do a lot of real development work to hone our Introverted Thinking/Accuracy despite messages that we should be in an Extraverted Feeling/Harmony space. I am glad to hear the honesty of being mis-typed. I am a social worker and we had to take many tests to help us understand who we are/why we function. In my undergraduate days, I was typed as an ENTJ – MBTI; also a 3 in the Enneagram. I didn’t quite feel comfortable as the ENTJ but some of it fit. I just thought I was being “odd” again and not fitting in a role or description. The test indicated through statistical grading I was borderline E/I and T/F and tested very high in the N and J. Recently, I tested again and found myself to be an INFJ. It was as if Handel’s Messiah was sung from the heavens. I finally understood why I wasn’t being understood. Your blogs and podcasts have been very helpful giving insights into my personhood. Are there any authors or books you recommend for developing my personality further? Hi Misty. Thanks for the comment and question. One comes to mind for perspective shifting – “Prometheus Rising” by Robert Anton Wilson. We are still on a hunt for a full book list. So as you find more books that resonate with your INFJ development – please share so the Personality Hacker community can benefit.